It’s become increasingly clear that we need to have a “Bitter Men” category on this website. Whew, chile, today’s example comes courtesy of none other than the Lord of All F*ckboys, a.k.a. Future. For some reason, this man will not allow his ex Ciara to live in happily-wedded peace with her husband Russell Wilson. 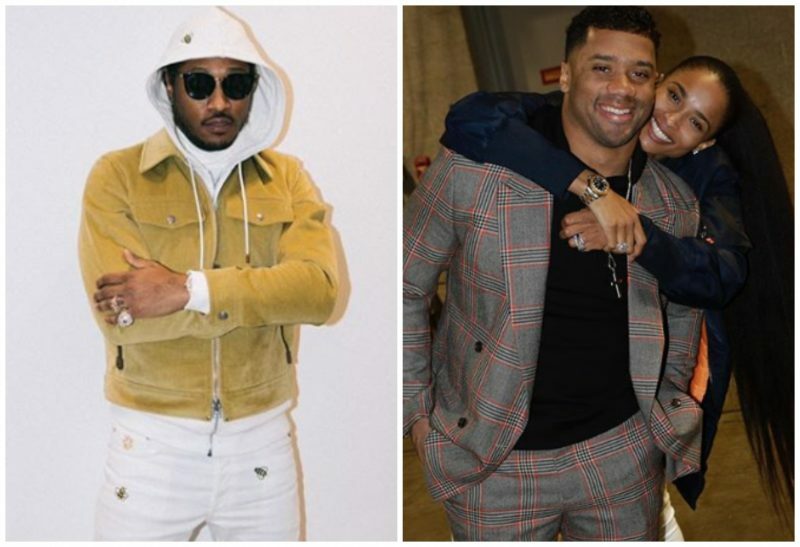 On Freebandz Radio, Future found it in himself to confidently speak on Ciara’s marriage and implied that her super successful NFL player hubby does everything she tells him to do. Ciara, you dodged a big bullet. Well, not actually, because unfortunately Future and his antics will be hanging around for at least the next 14 years, but at least she can pass the time while in a happy relationship. Is a husband not supposed to listen to his wife and take the things she says into consideration? Future sounds like a caveman who woke up from a long nap. He’s showing himself to be controlling, narcissistic, and verbally abusive. Ugh, there’s more. Those “rules” must have included continually sleeping with your exes and having new children on the side. So now he’s issuing threats? If she were to bring her ex’s name up while she was with you, what are you saying? There would have been repercussions? Give me a break. Now, as someone who has more children and baby mothers than the average person can keep track of, I can’t understand why he has time to stew over Ciara and Russell Wilson. Did he expect to never meet his son’s stepfather? If you’re curious to hear the foolery in HD, check out the clip below.